The San Antonio Spurs have a pretty clean record. The closest thing they had to a real controversy is when the team got fined $250,000 for resting their star players in 2012. 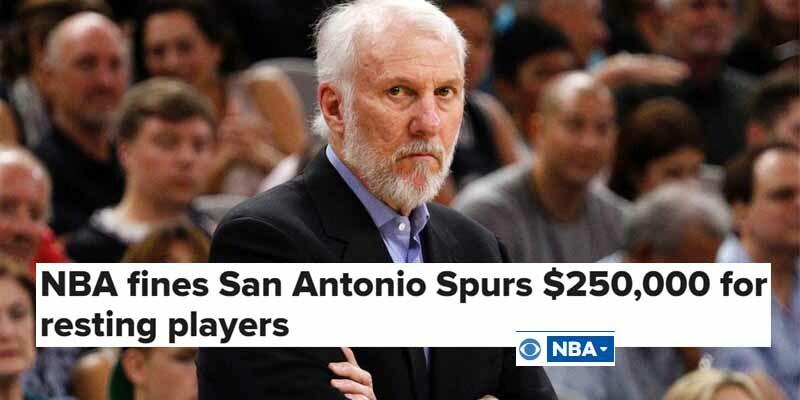 Can’t blame Coach Pop for giving the aging big three of Tony Parker, Manu Ginobilli and Tim Duncan all the rest they could get, but the NBA is a business and you have to make sure both teams are giving it 100% so the fans get their money’s worth.